LA Beer Week Kick Off Party! LA Beer Week Kick Off Party is looking for YOUR delicious Homebrew soda creation to be featured at this years HoLA Rejuvenating Tonic Bar tent area! Read more about LA Beer Week Kick Off Party! Grand Hydro: International Session Beer Day is on April 7th! The Neighborhood Brewery: Three Weavers Brewing Co. The Neighborhood Brewery By Bruce L. Brode I've been a homebrewer for more than 30 years. 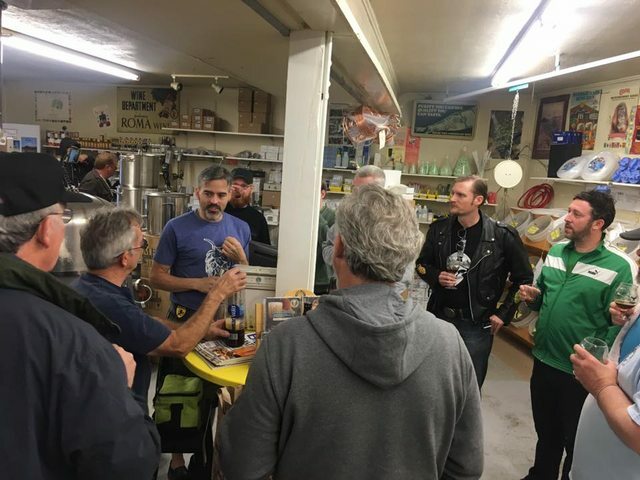 In that time, I have seen a revolution in beer continuing in many areas and ways, most recently in the area of craft breweries opening in the Los Angeles area. There were previous efforts – in the mid-1980s I remember the City of Angels brewpub in Santa Monica in the space long since occupied by Border Grill, which was funded by those who had made some good bucks in the “go-go” days of the stock market of the early-to-mid 1980s employed at the defunct Drexel Burnham Lambert investment house. Read more about The Neighborhood Brewery: Three Weavers Brewing Co.